Celebrating their 50th anniversary by offering a trip to Naples, Italy. 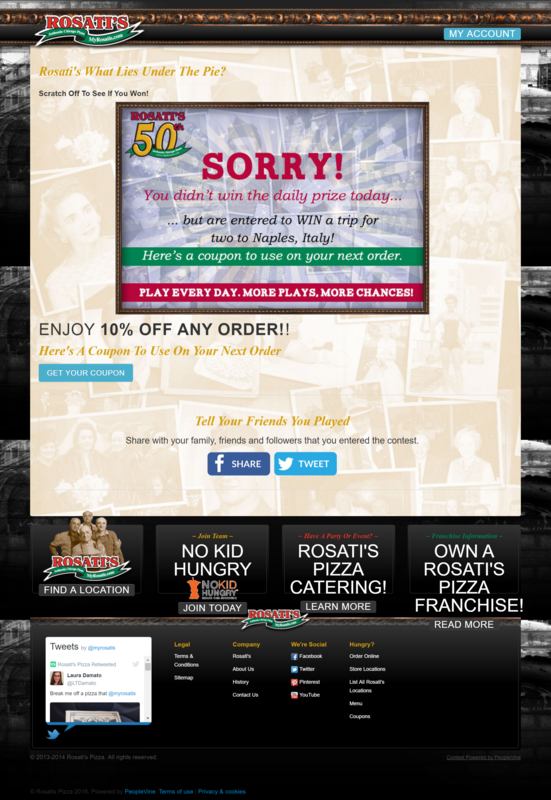 Rosati's Pizza ran a Scratch Off and Win contest in order to learn about their customers. They gave away prizes from free pizza to cubs tickets to a trip to Naples, Italy just for playing, but ensured that everyone got an offer to redeem at their local Rosati's Pizza.